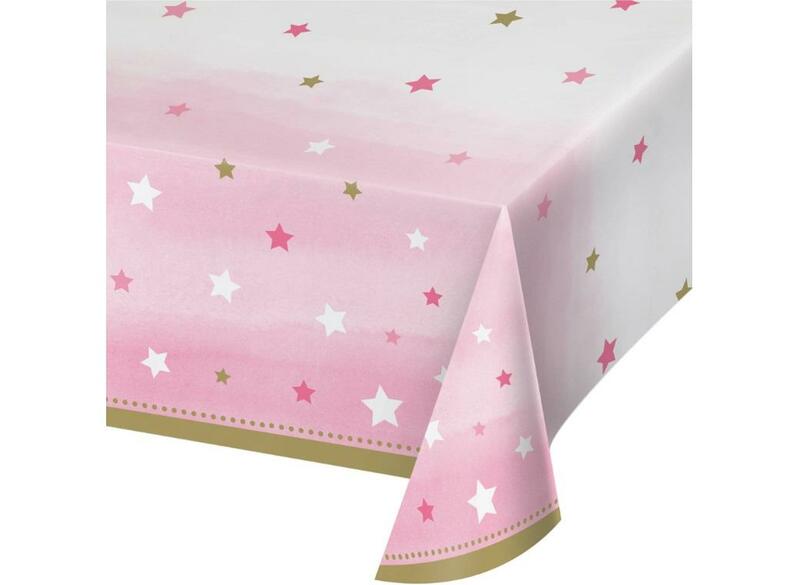 With pink, gold and white stars. 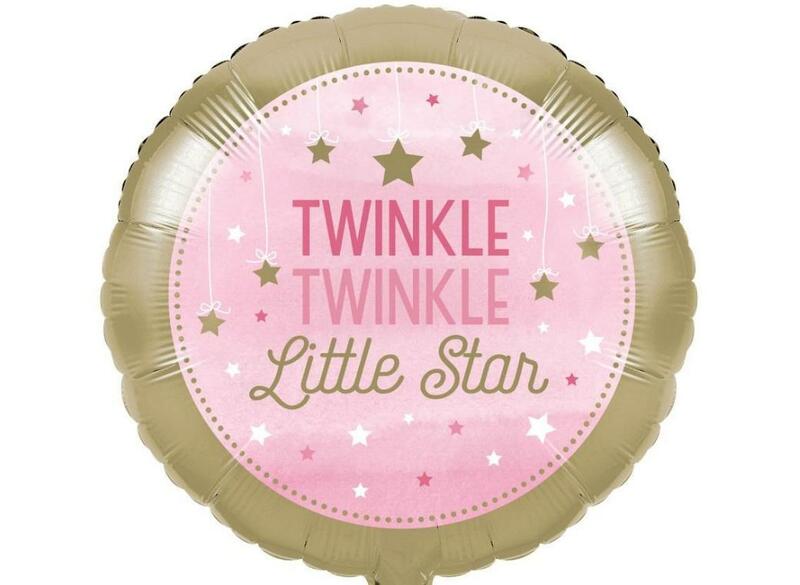 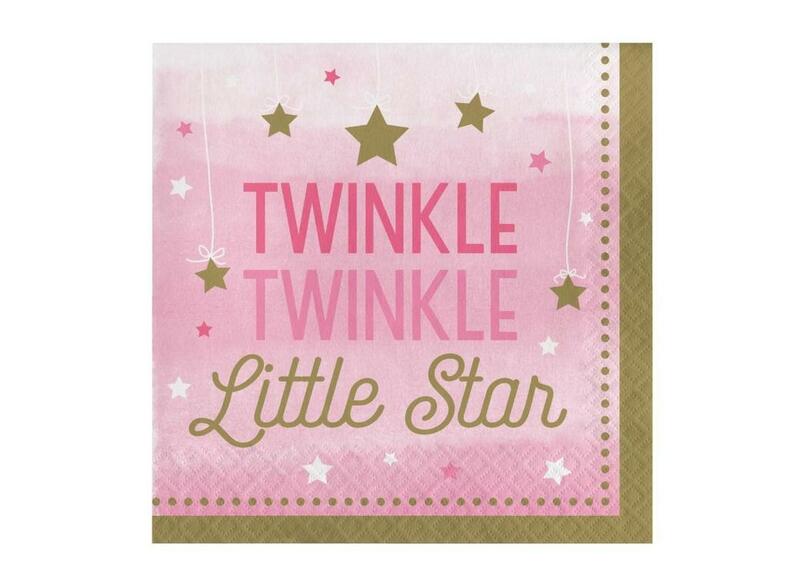 With "Twinkle Twinkle Little Star" in pink and gold. 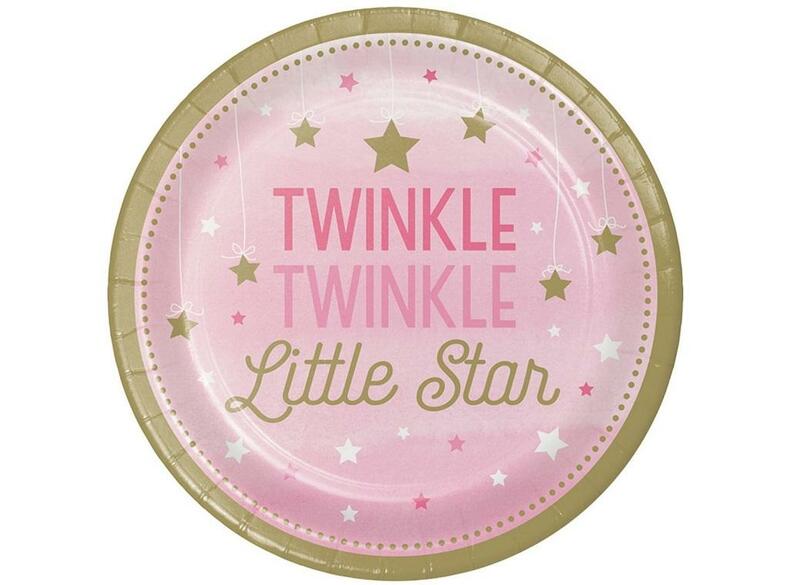 Serve cake and sweet treats on these pretty pink and gold lunch plates. 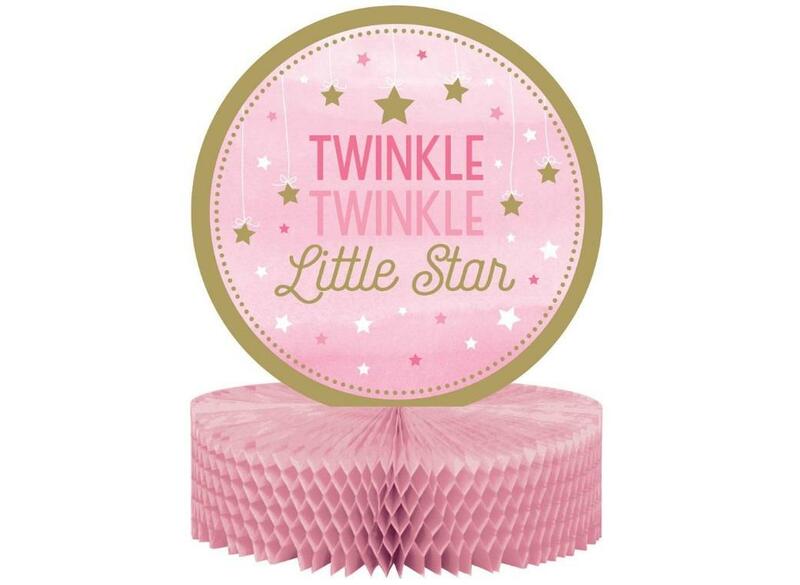 Fora gorgeous first birthday or baby shower party table. 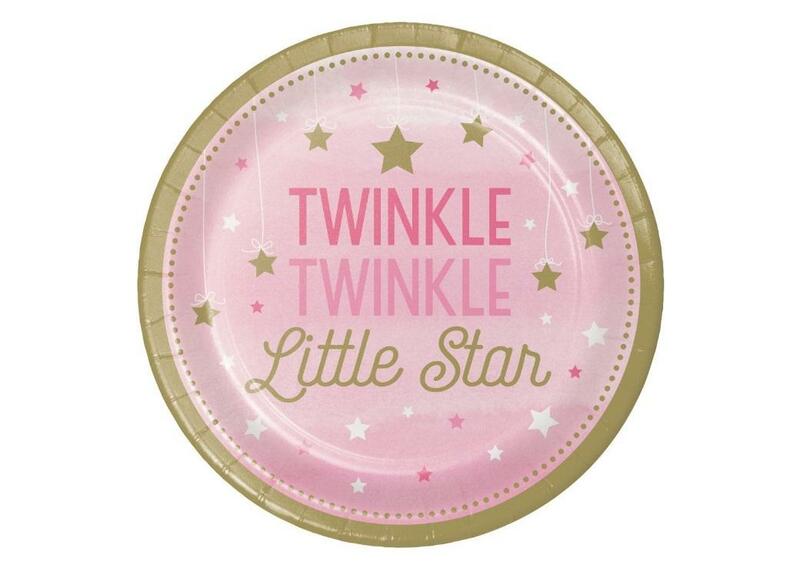 A pretty centrepiece for your party table. 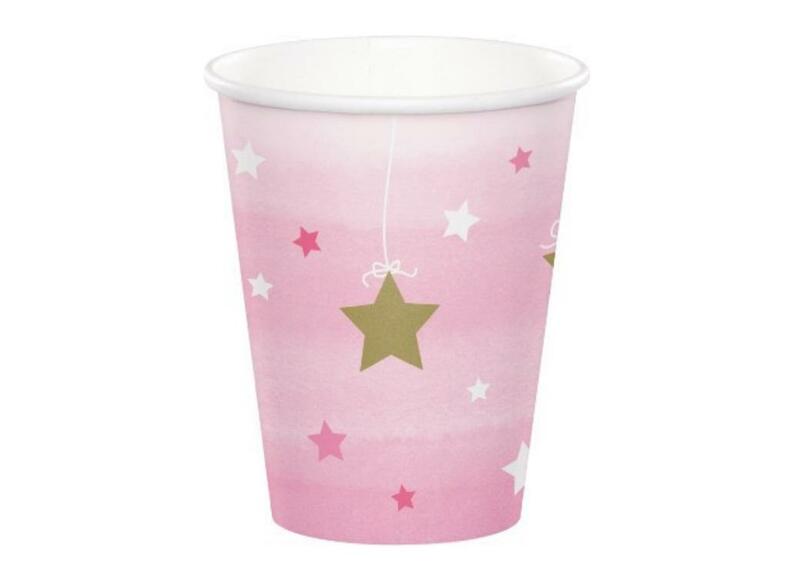 With pretty pink and gold design. 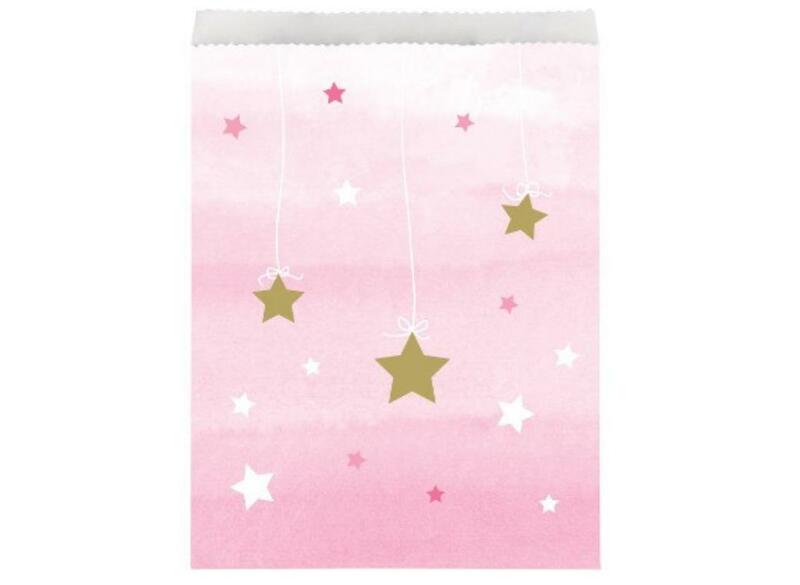 Stylish hanging foil swirls with star cutouts attached. 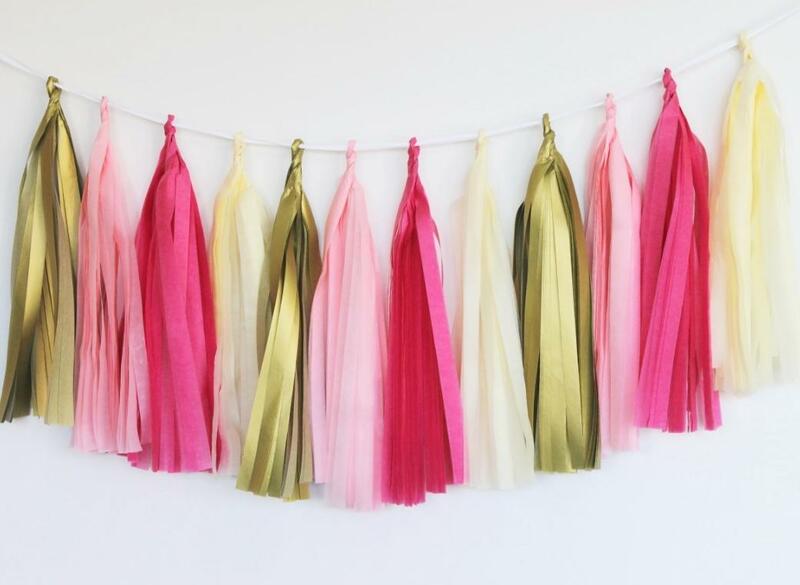 Gorgeous pink ombre design with gold trim. 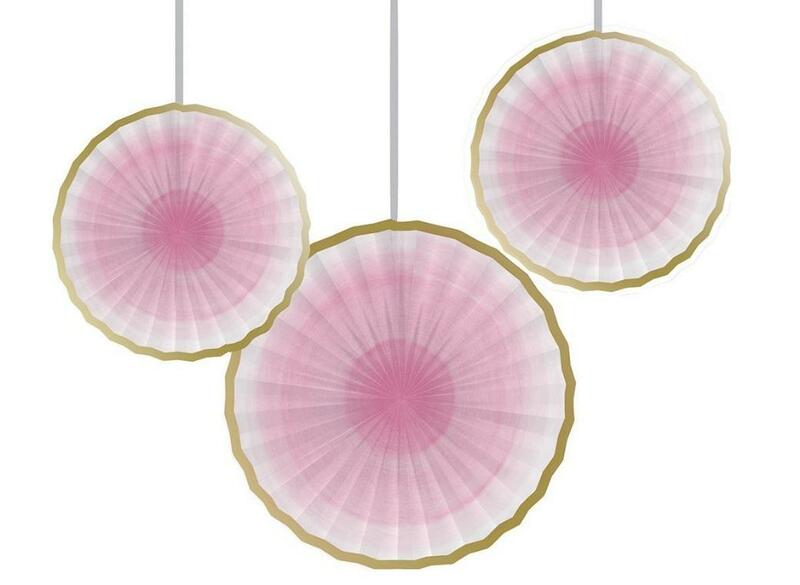 Hang anywhere you want to make a statement! 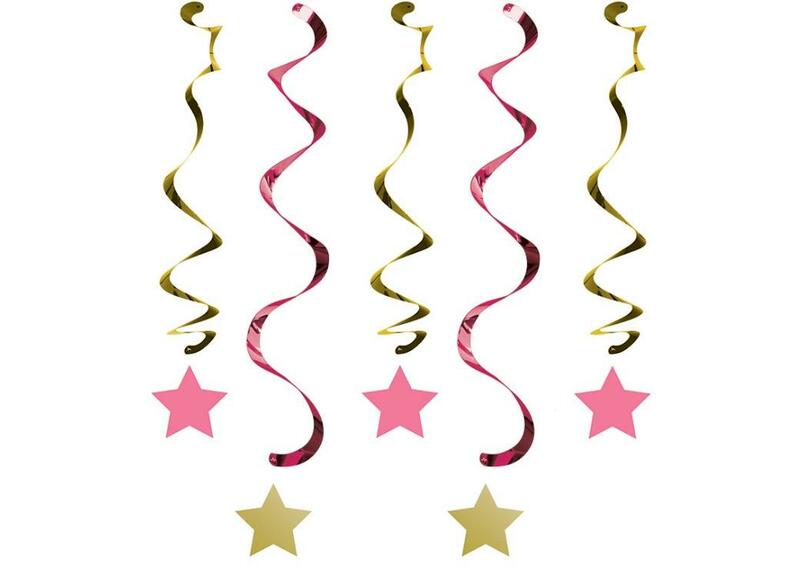 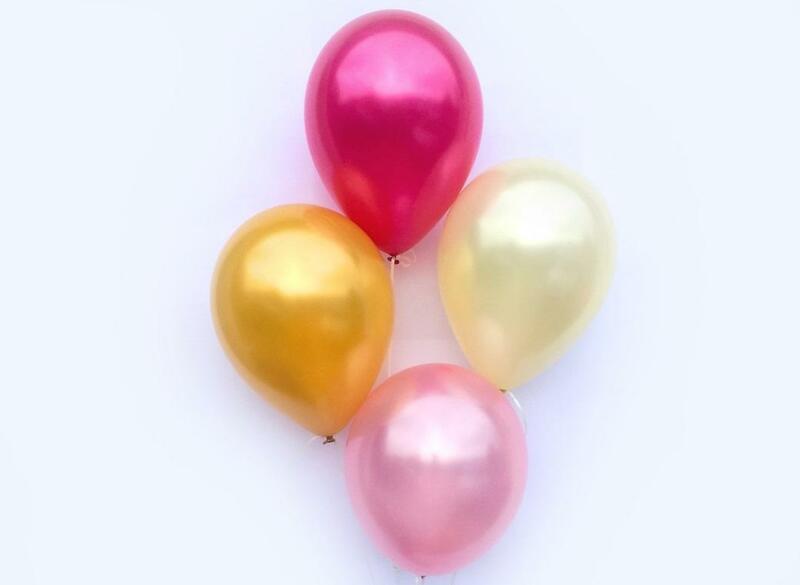 A gorgeous mix of 12 plain balloons in 4 assorted colours. 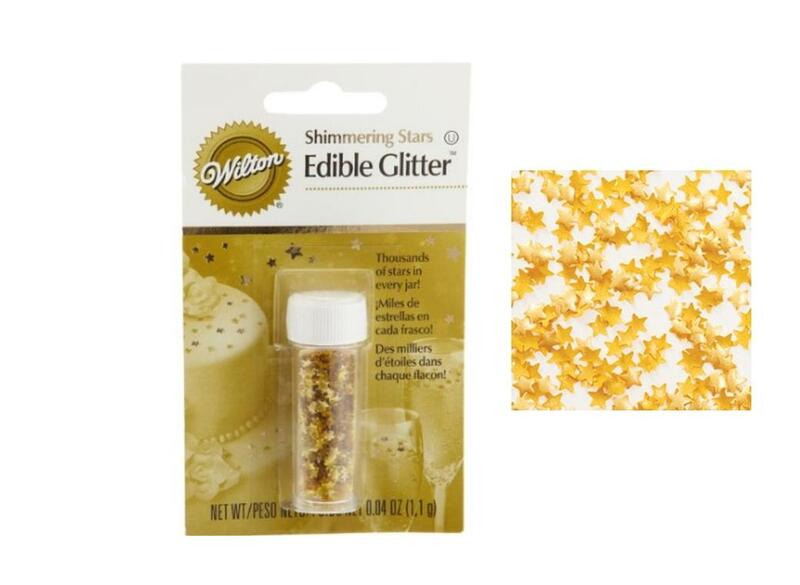 Adds a glimmering touch to treats! 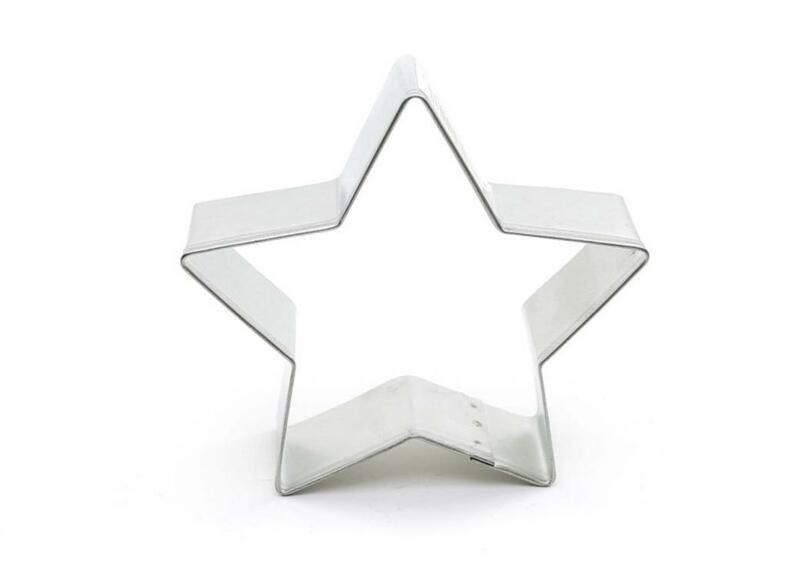 Simple star shape - perfect for cookies, fairy bread and more.